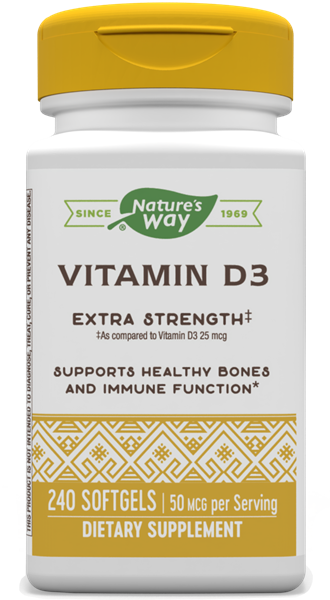 Vitamin D3 2,000 IU / 240 Softgels - Nature's Way®. Why use Vitamin D3 2000 IU? For adults, take 1 softgel daily with a meal, or as recommended by a healthcare professional. Do not exceed recommended dose. Caution: Consult a healthcare professional before use if you are pregnant, nursing, have a kidney disorder, hypercalcemia, hypercalciuria or are taking any medications.